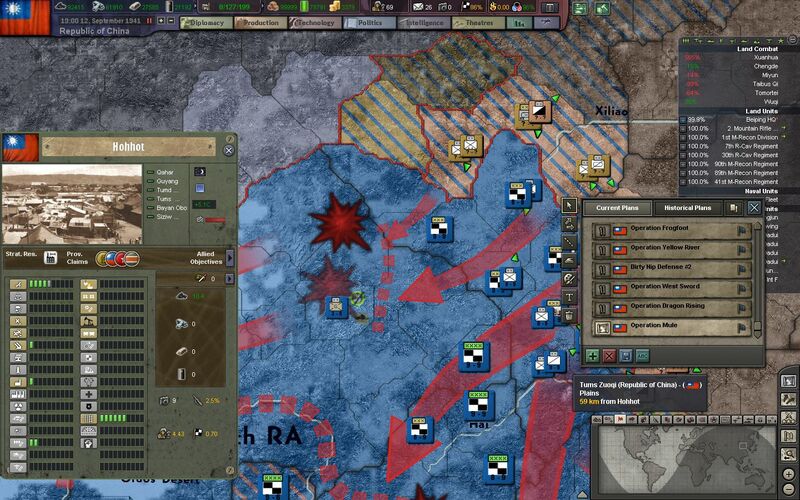 Previously, our forces had advanced around 100 km into Inner Mongolia as part of Operation Ox, the first phase of a larger effort to destroy the Kwantung Army and free Manchuria from the grasp of the Imperialist Japanese. 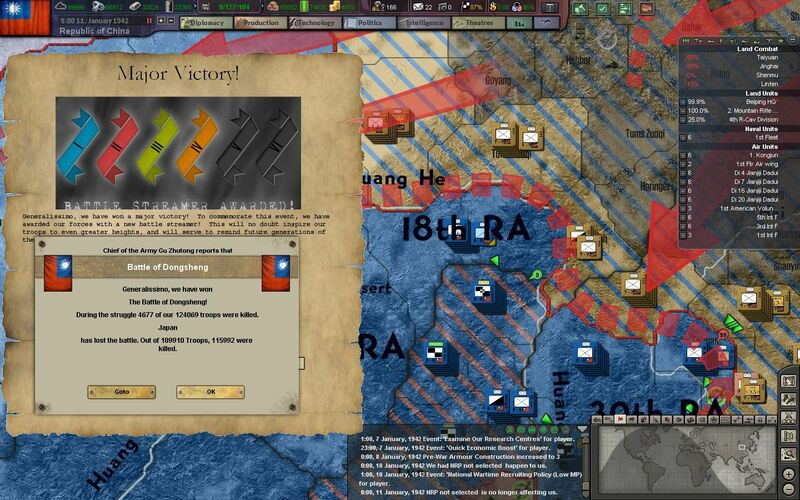 Although our National Revolutionary Army (NRA) had made significant progress in the first month, our advance quickly devolved back into a brutal stalemate, and once again tens of thousands of men die for just inches of land. 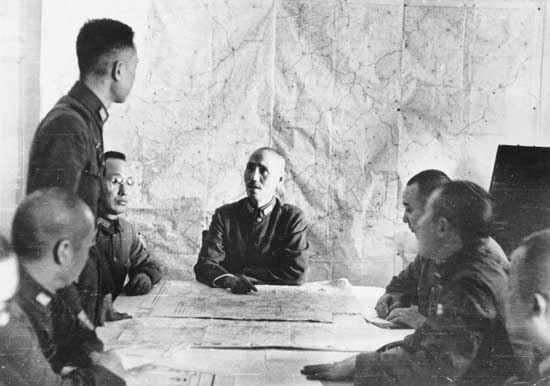 Marshal Gu Zhutong, Generalissimo Chiang Kai-Shek and other general staff officers gather in the city of Wuhan to plan the next moves. 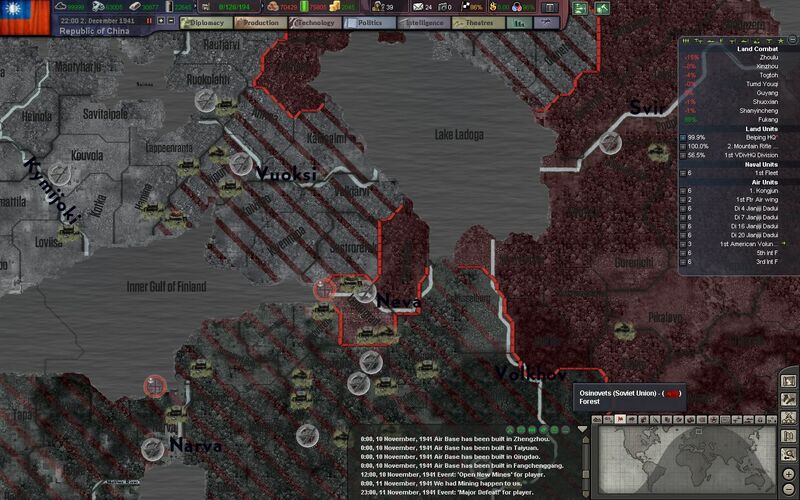 With our dwindling reserves and morale, holding the Northern Front has become unrealistic, and the order for a general retreat to more defensible positions is ordered. Generalissimo Chiang is livid at first - for his country has bled the lives of millions for the land that they will soon easily abandon. He eventually comes to his senses, however. 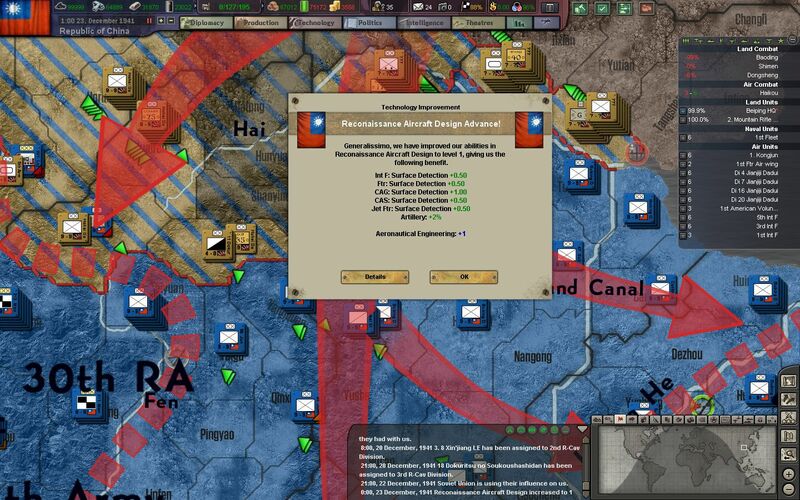 Operation Mule will order the retreat of all of our forces back to the mountains of Shanxi and the Yellow River, effectively surrendering control of all Inner Mongolia and Hebei province. 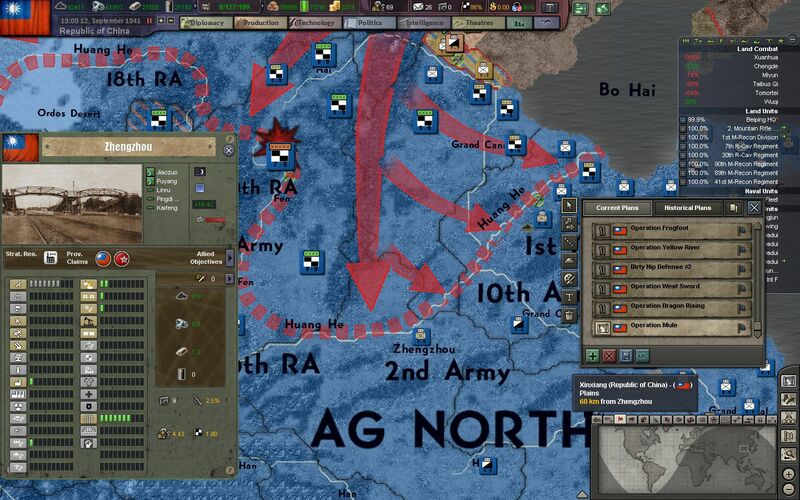 The front line will be stretched from around 300 km to an estimated 1200 km, and over 2,000,000 men spread across 2 army groups (AG North and AG West), and 9 armies (21st Route Army (RA), 18th RA, 30th RA, 4th, 5th RA, 6th RA, 2nd, 10th, and 1st). Additionally, around 80,000-100,000 more men will be pulled from the 10th Army's Coastal Guard Corps to guard the foot of the Shandong Peninsula and the outskirts of Jinan. A small defensive barrier is to be set up at the city of Hohhot and the surrounding Siziwang Qi mountains. 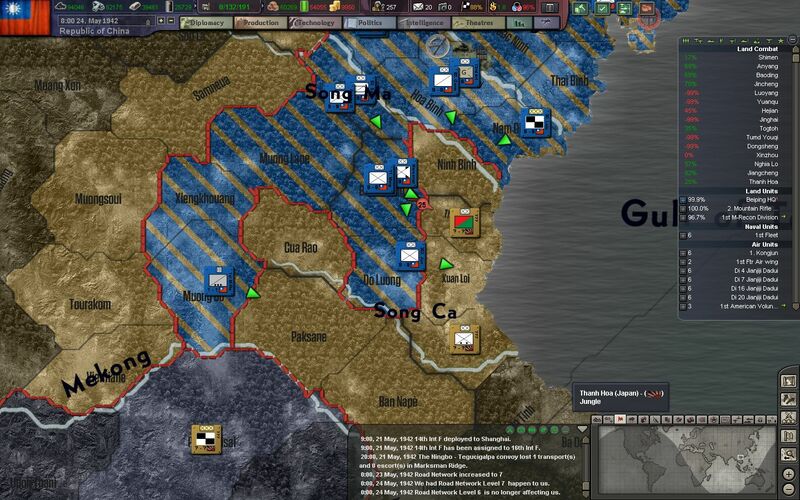 This small line of resistance will buy the rest of our troops time to set up behind the Yellow River and the mountains of Shanxi to the south. The heavily industrialized city of Taiyuan, which houses the massive Taiyuan Arsenal, is to be the only sizable tract of land on the other side of the Fen River to be defended. 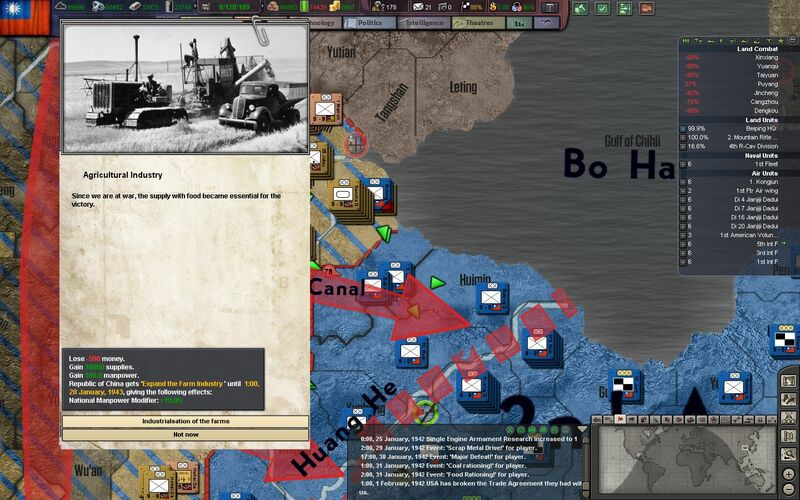 Citizens and workers of the city are immediately set to work building trenches, anti-tank ditches, and pillboxes for the impending battle around the outskirts of the city. Taiyuan will be a useful staging area for taking back Hebei Province in the future. In the South, our forces are ordered to retreat to the Yellow River, and along the cities of Jinan, Zhengzhou, Luoyang, and Kaifeng. Beyond this point, they are ordered to not give a single inch to the Japanese. Most of high command, as well as the soldiers of the NRA themselves, are told that they are retreating back to more defensible areas. Only Chiang and the general staff, however, know the true consequences of this retreat. 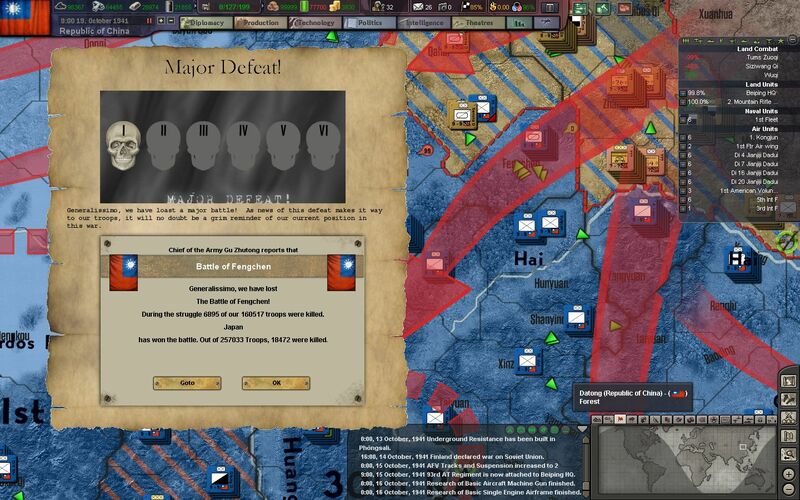 Our troops begin to pull back from their trenches in Inner Mongolia - to great chagrin. 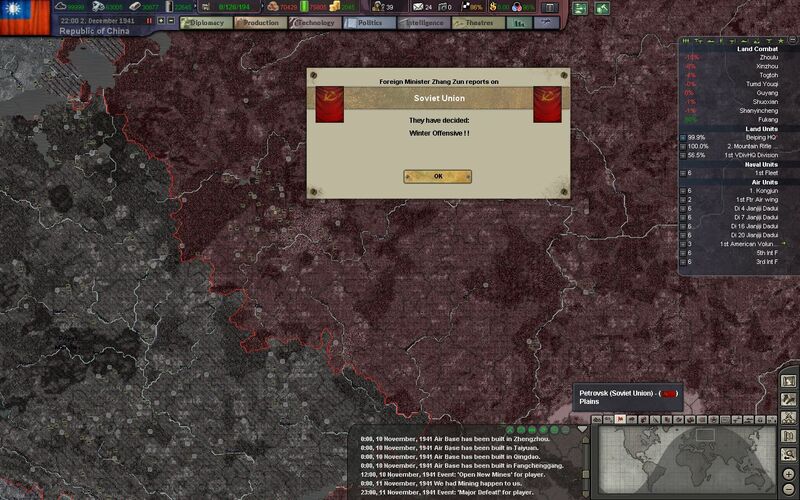 Many of their comrades and friends have died fighting in these steppes, and it seems to them that the war is finally turning against the Republic of China. Morale is at an all time low as our soldiers march back through a countryside torn apart by war. 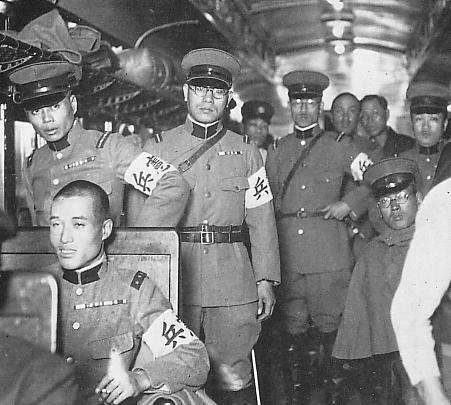 As Japanese tanks hit our first defenses on the outskirts of Hohhot, the National Intelligence Bureau (NBIS) evacuates key Kuomintang officials and instruments from the city's university. Other heavy equipment from the city's industrial sector is shipped off on trains and trucks for Taiyuan in the south. The NRA also instructs its troops and local commanders to strip rail tracks and blow bridges as they make their way to the Yellow River. Our infrastructure will not be exploited by the Japanese marauders, and our partisans will make sure that they fight for every bullet and grain of rice they ship to the front. The Republic's Air Force (ROCAF) is slowly making its way into the modern age. 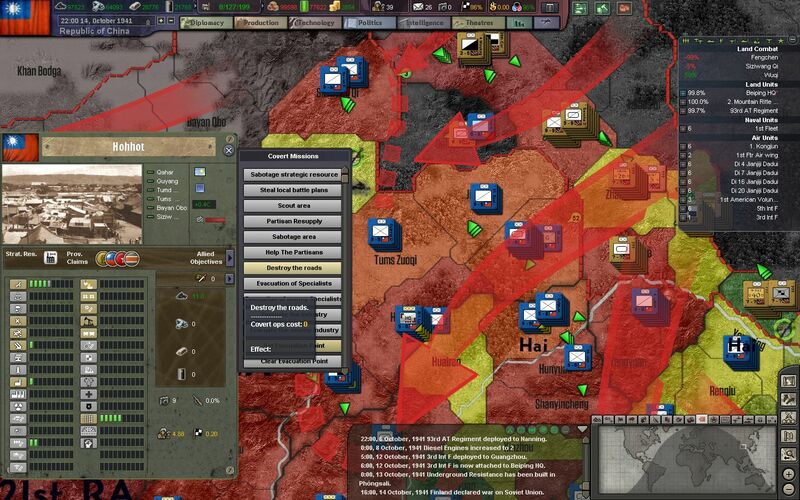 More and more resources are being diverted to the construction of aircraft within China, instead of relying on imports from the Soviet Union and the Americans. 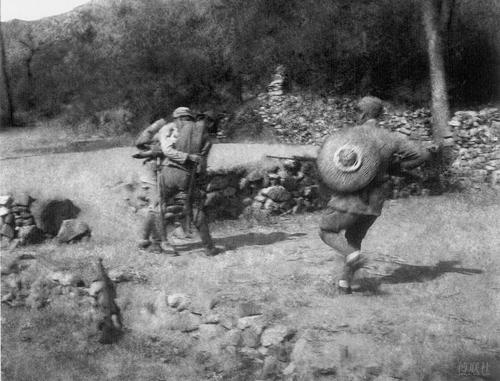 Our troops quickly retreat through Fengchen, the site of calamitous battles between the Kwantung Army and the NRA's 18th Route Army years before. Nearly 1.5 million men died in the forests of Fengchen, which are now reduced to crater holes and abandoned trench lines. 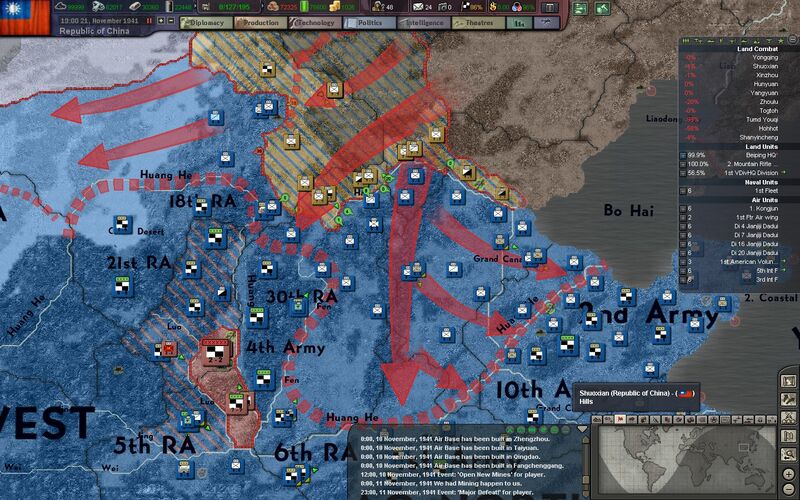 Operation Mule and the retreat back to the Yellow River is both hurried and deadly. Rearguard units assigned to support the withdrawal are frequently annihilated, or are forced to dissolve into the hills and mountains in order to avoid capture. Although the NRA is able to carry a majority of their heavy equipment, such as howitzers or flak cannons, with them, some are left behind and sabotaged so that they cannot be used by the enemy. 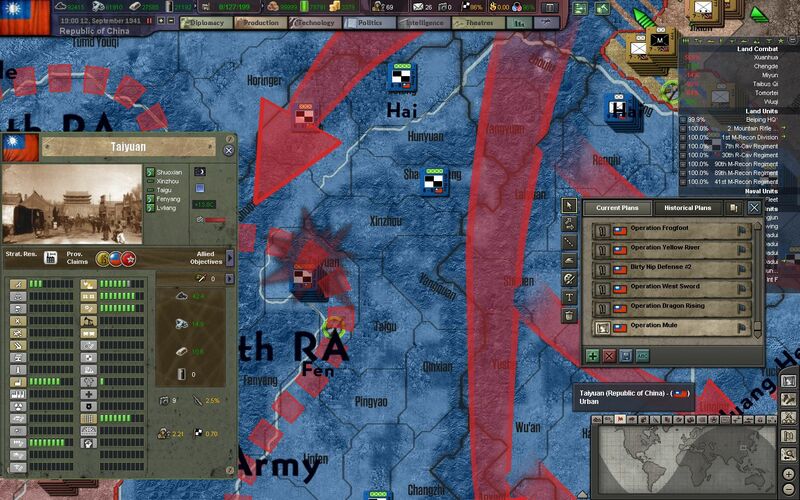 In order to combat our reserve shortages, militia and garrison units are reassigned to "replacement battalions" now ubiquitous in all of the divisions on the Northern Front. On 7. November, 1941, Over 300 Japanese carrier-launched aircraft attack the US Pacific Fleet anchored at Pearl Harbor. In just 90 minutes, over 2000 American servicemen are killed and 4 battleships are sunk. 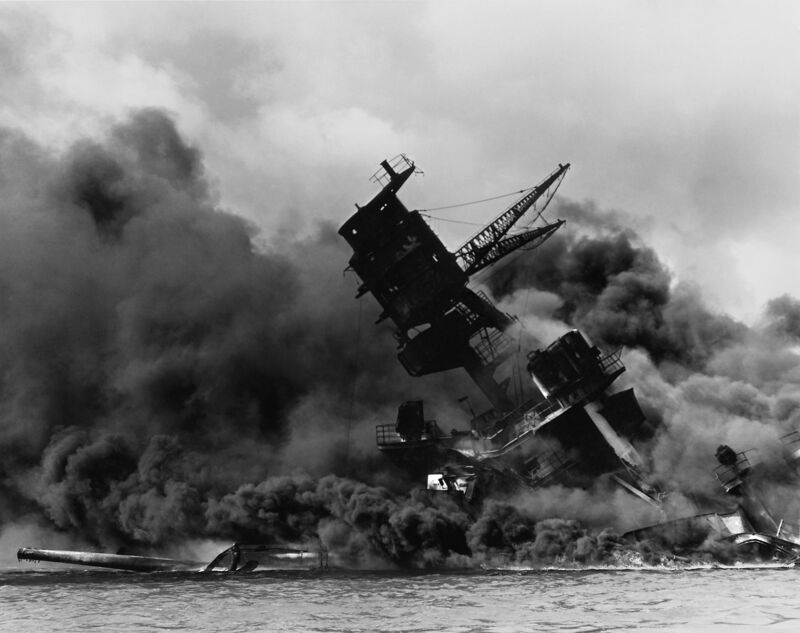 The Japanese treachery claimed the battleship USS Arizona, which exploded after armor-piercing bombs hit the ship's magazine. 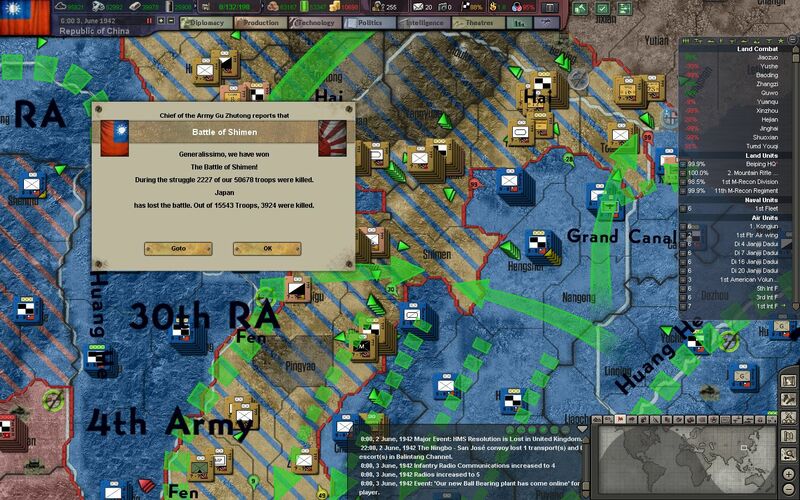 The next day, President Roosevelt declares war on the Japanese Empire, but for some it is too late. 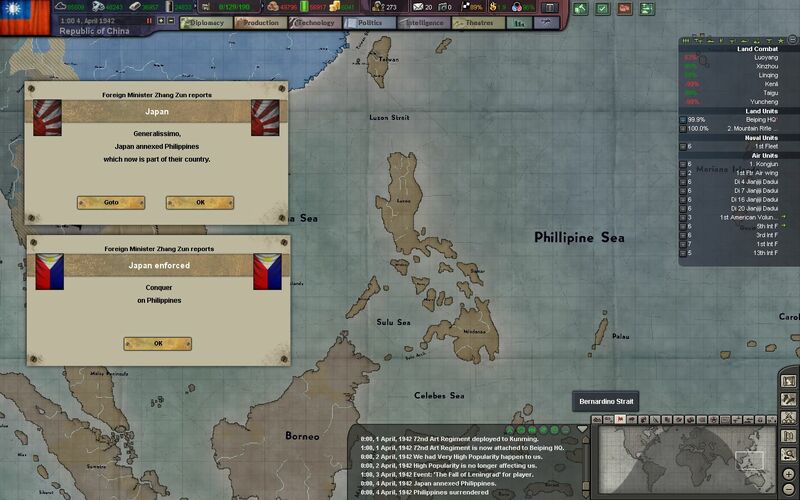 Installments on the Philippines have already been attacked, and British forces in Burma and Indonesia have been assaulted as well. 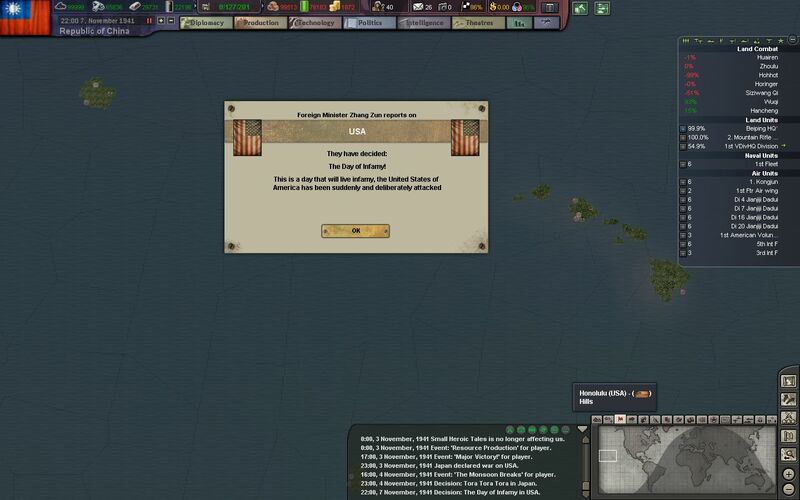 Failing to gain a foothold in China, Japan now seeks to expand across the Pacific Islands instead. 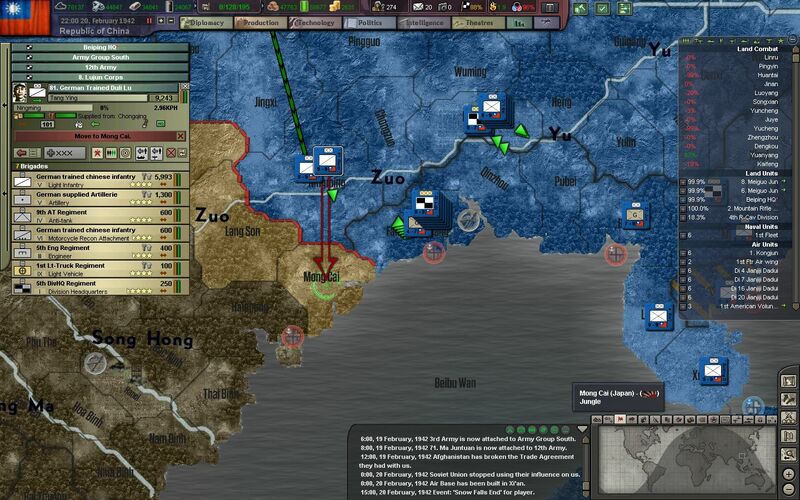 In better news, our troops seize the mountains of Wuqi, to the west of the communist stronghold of Yan'an. The blockade of Yan'an now begins in full force, with the 5th Army forming the main sieging force in the mountains of Shanxi and Shaanxi. The shrinking territory of the CPC will allow more of our troops to participate in the now underway Operation Mule. The Kuomintang begins to subsidize new mining operations in Qinghai and Kunming, where great mineral riches will be used to power and supply our burgeoning industrial cities and complexes. China has already become a major exporter of coal, and is now almost entirely resource-independent. Our forces at Siziwang Qi, north of Hohhot, buckle under pressure from the Kwantung Army and retreat to the city of Hohhot. The city has nearly been deserted by now, thanks to Kuomintang officials organizing an orderly and rapid evacuation of the city. Only soldiers and other vital personnel remain in the city to slow down the Japanese advance. 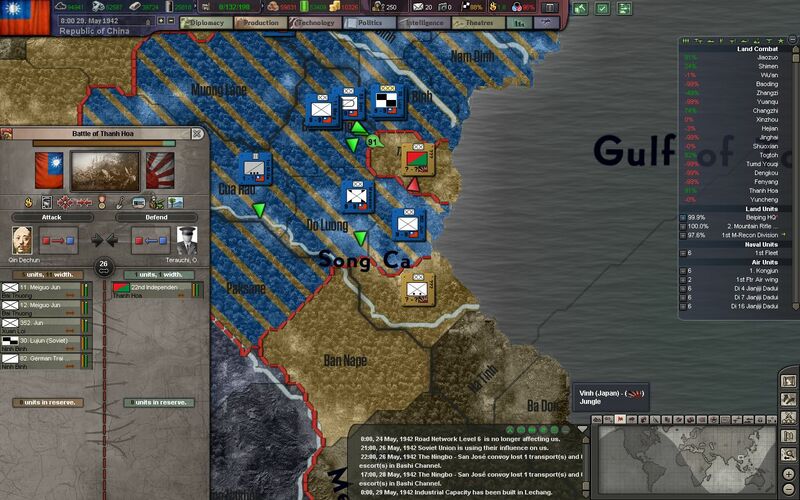 The Japanese have now advanced to the Hai River and are only 100 km away from the city of Taiyuan, which is still being hurriedly fortified by its citizens and conscripted labor forces. Hohhot is abandoned soon after its importance as a delay is lost. Our troops retreat into Shaanxi and Ningxia, and across the defensible Yellow River. 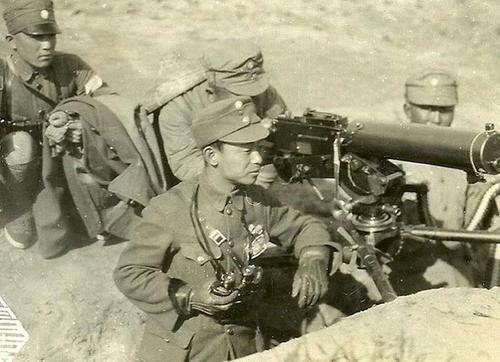 While our citizens dig ditches and build berms on the outskirts of Taiyuan, our engineers have been working inside the city to increase our production of heavy guns, including the 2cm Flak 30 and the 3.7cm Flak 37. 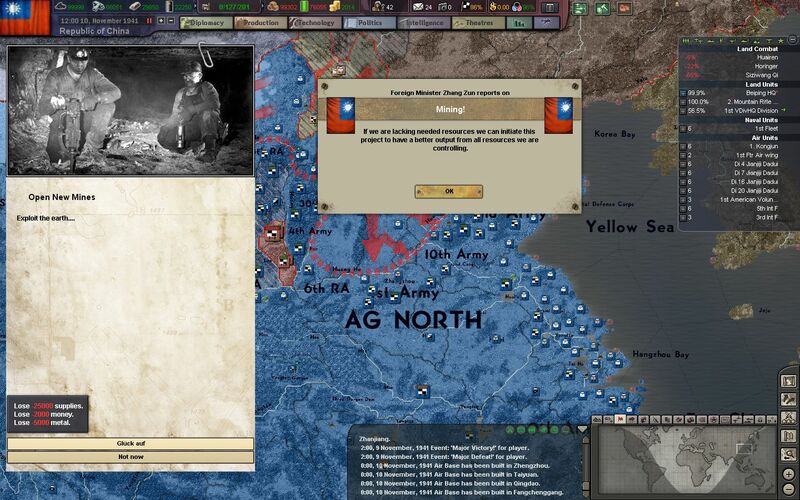 Snow begins to fall across certain regions of Inner Mongolia, and thankfully it halts the advance of some Japanese armored and motorized units for a few days. 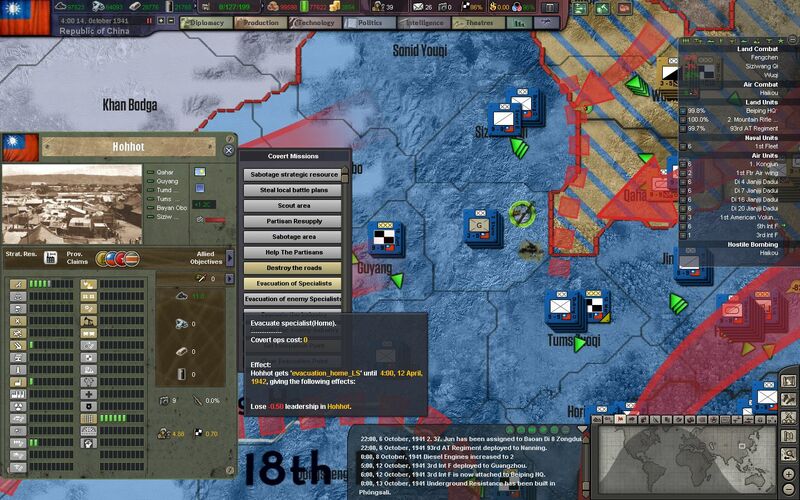 The Kwantung Army will find it hard to make fast advances during this time, owing to our troops systematic destruction of roads and railways as well. The German advance on Moscow has stalled, and Hitler's promise for a war that would be over by Christmas has fallen short. 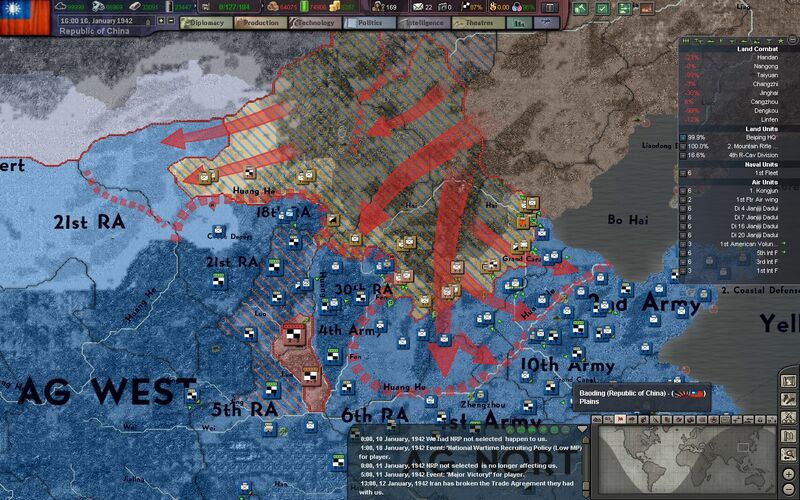 Operation Typhoon, the plan to encircle and destroy Soviet forces in and around Moscow, has been beaten back, and now Stalin and Marshal Zhukov have ordered a fierce counterattack. 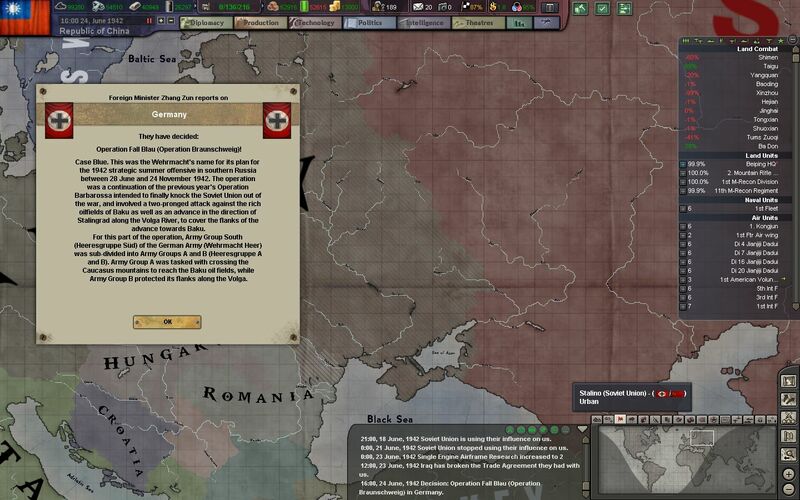 Hitler orders his generals to not give one inch to the Soviets, and to stay in their exposed positions near Moscow. 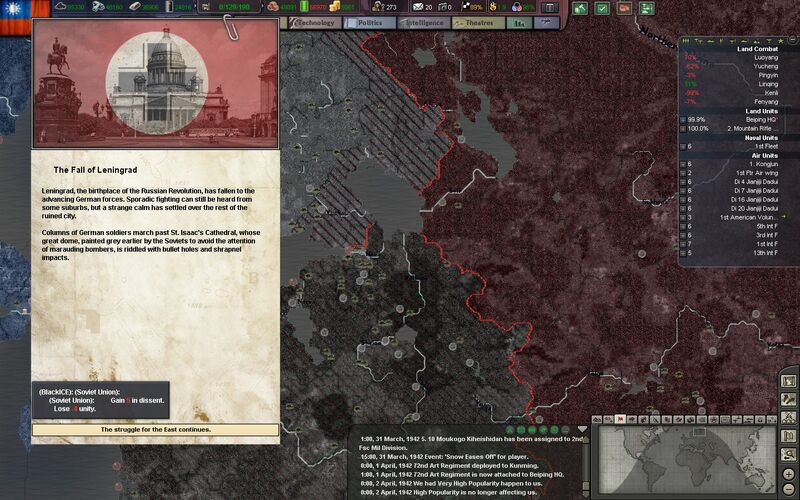 Leningrad, however, is in worse luck. The city and fortress of Shlisselburg have been seized by the German Army Group North, and Finnish forces have taken the northern flank of the city. 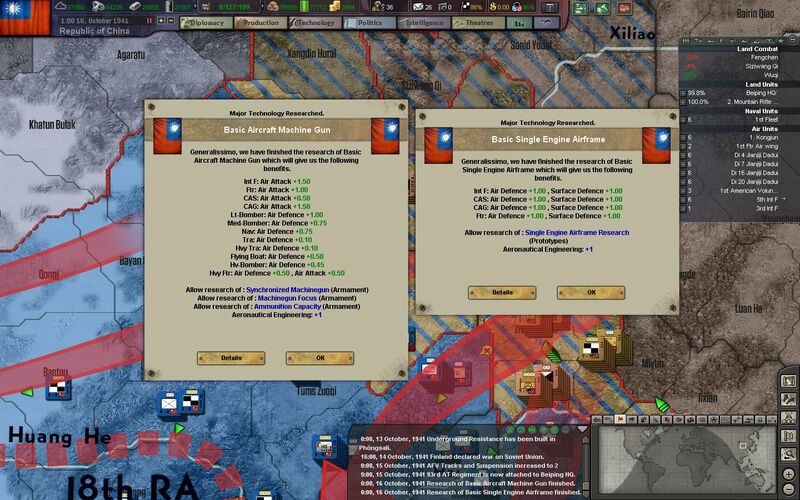 Nearly 2 and a half million soldiers and civilians are now trapped in the city, and the city government has resorted to meager rations for its citizens - just 500 grams of bread per day for workers and even less for those unemployed by the iron and weapon works of the city. 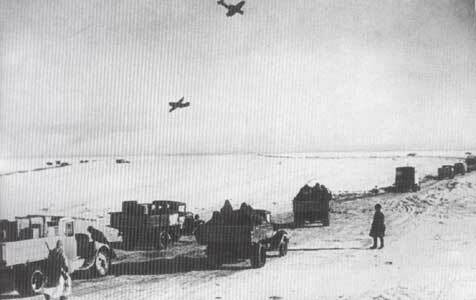 The only supply route into Leningrad is on the frozen surface of Lake Ladoga - which the Soviets have now named "The Road of Life". Soviet truck drivers brave strafing German fighters, artillery, and thin ice as they bring food, medicine, and bullets into the besieged city. 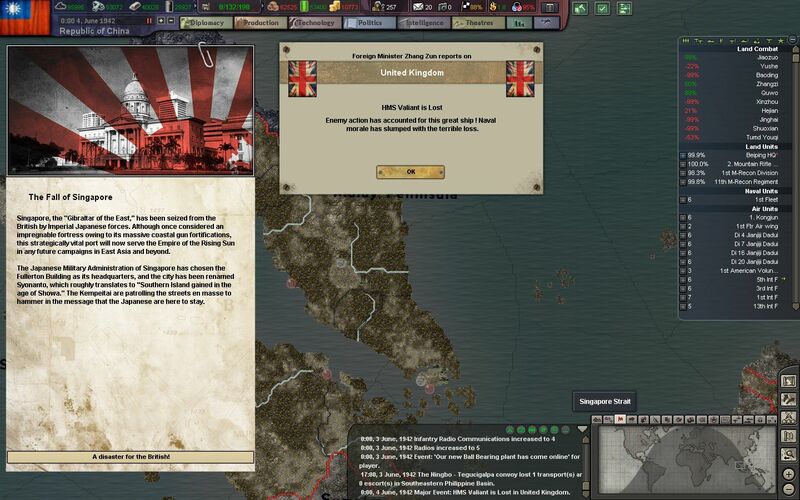 The recent Japanese attacks in the Pacific, as well as an increasing German presence in Northern Ireland, has led Churchill to establish the United Nations. 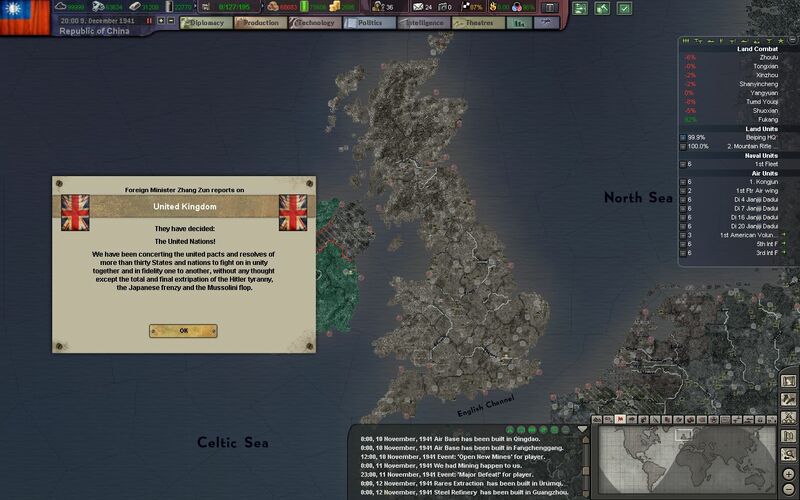 The UK begins planning of a meeting between the allied leaders Roosevelt, Churchill, and Stalin. Chiang and the Chinese, however, are not given an invitation. 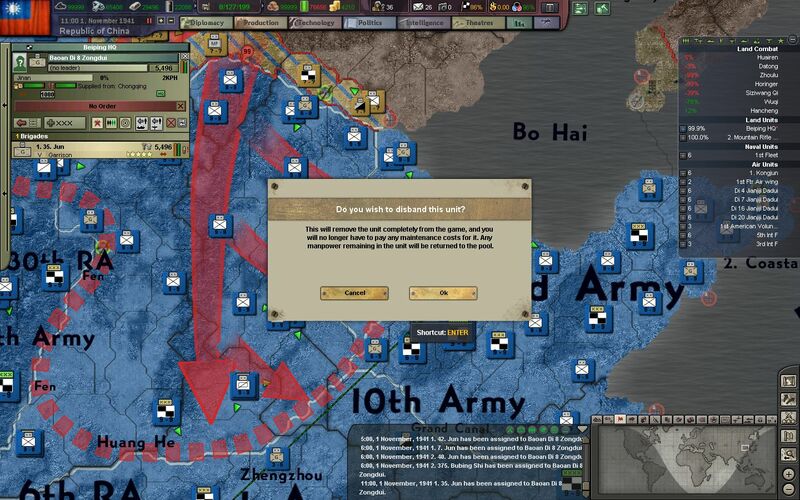 Although they are not shooting at us now, these western imperialists will be dealt with in due time, after the Japanese have been taken care of. 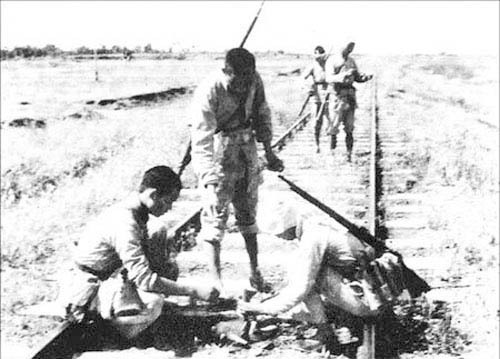 Japanese forces in Indochina, headquartered in Saigon, begin their main thrust into British India, by first pushing through Burma. Our crucial supply line with the US and Britain, through the Burmese port of Rangoon, is in danger of being severed, as Japanese forces push through the jungle. 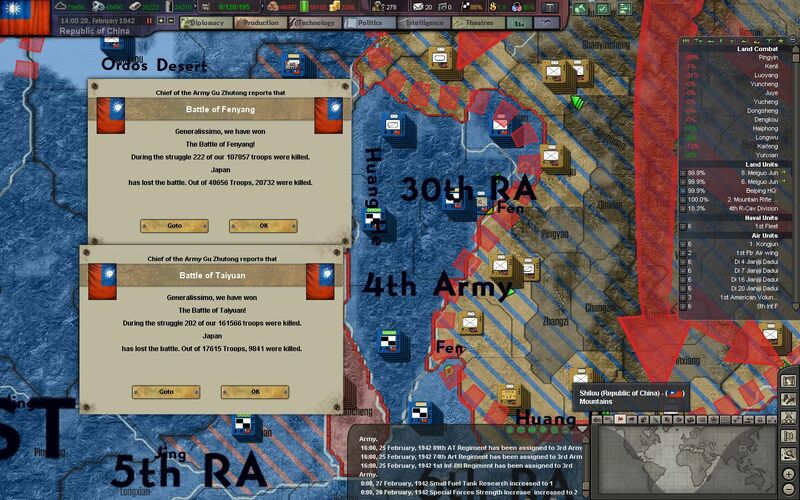 Our main footholds across the Hai River are abandoned as Operation Mule continues. These trench lines have held since the beginning of the war, nearly 4 years ago. The loyal soldiers of the NRA, however, do not waver, and follow the Generalissimo's orders down to the word. As the NRA retreats, so do many civilians. Many have already left for safer homes when the war first started, but after the commencement of Operation Mule, the countryside is desolate. Those that stay behind are either stupid, or are scorned for being collaborationists. The ROCAF begins pushing old crop dusters into service as reconnaissance aircraft, in order to give our commanders greater knowledge of enemy positions and formations. These old biplanes are so slow that Japanese fighters cannot tail or target them effectively, without stalling their engines. Another generation of young men are shuffled from recruitment camps and into replacement battalions all across the front. 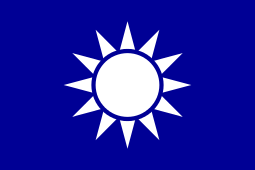 Although the Kuomintang Government claims to represent all of China, it only directly controls a fraction of its territory. Warlords and businessmen shield their soldiers and workforce from the NRA and preserve their armies, instead of joining the NRA and the fight against the Japanese. Remoteness as well shields many villages from the reach of the government. Kuomintang officials have been attempting for greater centralization for almost 2 decades now, but are constantly met with resistance from local leaders and warlords. 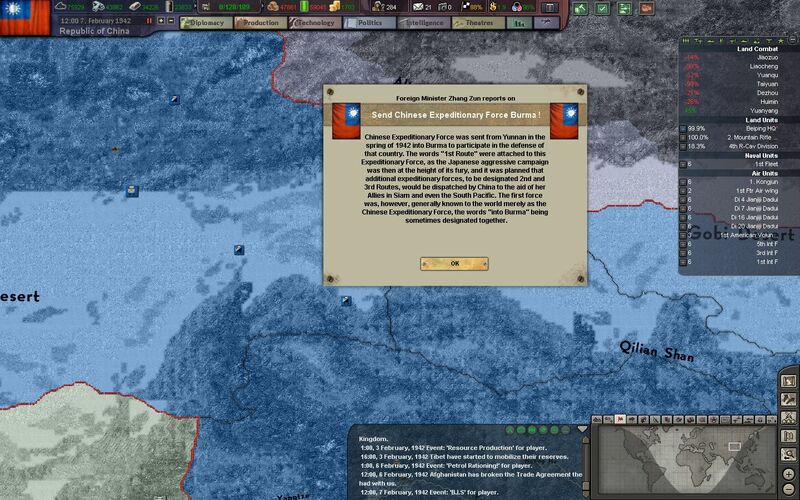 As soon as the threat of the Japanese is put down, Chiang swears to once and for all cement the party's grip on the country. Our defensive line at the Yellow River in Shaanxi passes its first test with flying colors, in the mountains of Dongsheng. A massive Japanese attack is thrown back with devastating casualties. Operation Mule is now in full swing, and there is no going back from this. 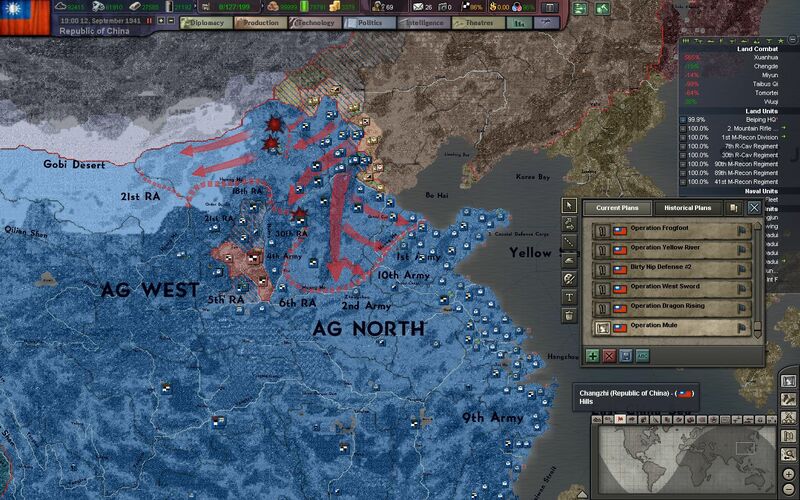 Japanese forces have punched through Hohhot and now almost completely occupy Inner Mongolia, while Hebei is also being slowly ceded to the advancing Kwantung Army. 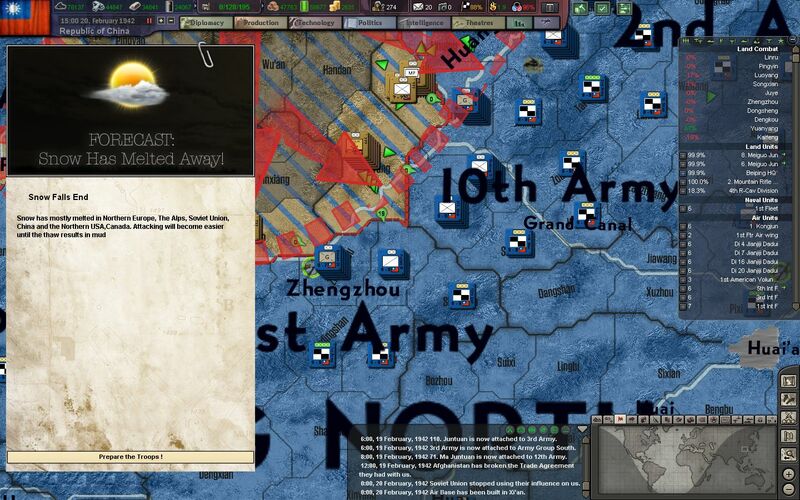 In the city of Taiyuan, home to almost 20% of China's arms and munitions production, and our foothold across the Fen River, the first Japanese assault is quickly thrown back. Most of our defenses, quickly constructed by conscripted labor in the two weeks leading up to the Japanese attack, have been placed on the outskirts of the city in order to preserve its industrial core. Here, NRA troops man a machine-gun and mortar nest roughly 15km away from the city center. Chiang and Kuomintang Agricultural officials continue their drive for modernization in the farms of the Chinese countryside. KMT officials have learned much from the mixed results of the Soviet 5-year plans, and have facilitated this modernization through both stiff control of grain prices, as well as the purchase of heavy machinery from the US. Kuomintang officials also approve the expansion of our textile industry - namely our synthetic textile industry. Our current textile industry is extremely reliant on cotton from the steppes and Soviet Central Asia, as well as imports from the United States. Soon we will be able to produce these goods at home. Soon after their surprise attack at Pearl Harbor, Japanese marines have stormed the Philippines and are closing in on the capital of Manila. 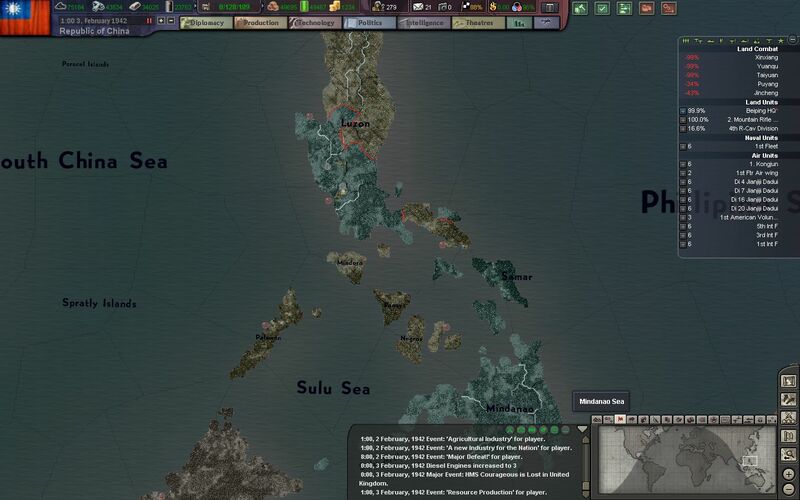 The small US garrison on the island, as well as the poorly equipped Filipino divisions, are fighting a losing battle against the Japanese. 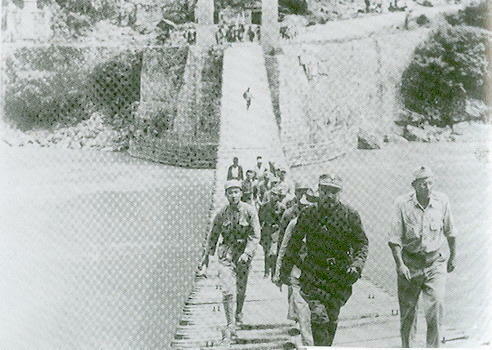 With continued pressure from British diplomats and the American general Stilwell, Chiang agrees to send the Chinese Expeditionary Force Burma (Codenamed Y-Force) to participate in the defense of the Salween River in Burma. Nearly 120,000 US equipped troops now enter the command of General Stilwell, and march through Kunming to the Southern Front. 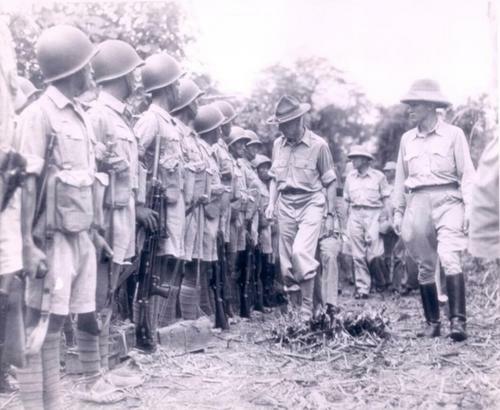 Pictured above is General Stilwell inspecting a company of Y-Force troops south of Kunming. Chiang and other Kuomintang officials still balk at the idea of letting a westerner command Chinese troops, but he is also thankful to finally get the noisy and rude general out of his hair. In the jungles of Burma, Chinese, Indian, Burmese, UK, and ANZAC troops all fight together against the Japanese. 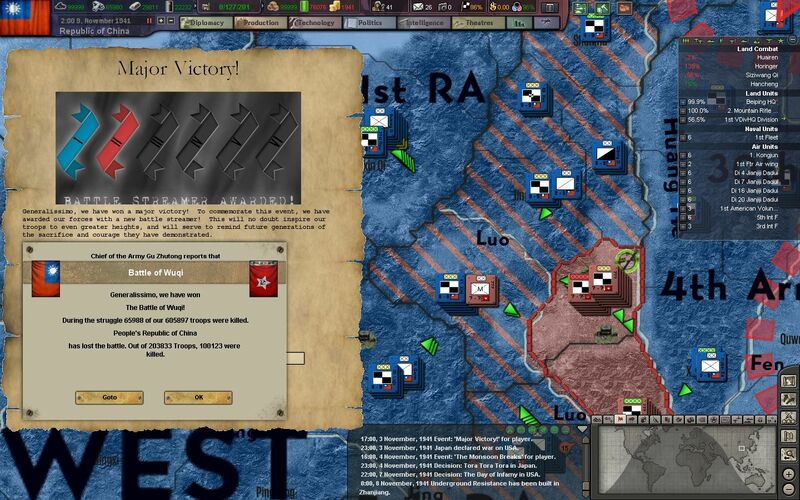 The combined command of Southeast Asia is still fighting against a massive army of over 700,000 Japanese and auxiliary forces, and their victory is not certain. 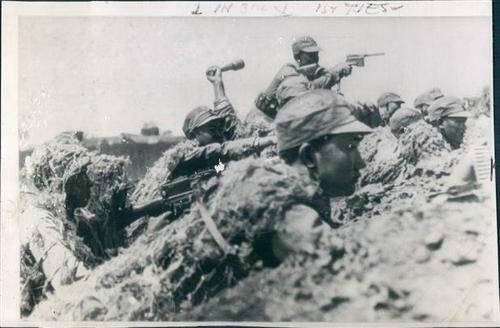 Operation Mule nears its end as Japanese forces close in on the Yellow River defenses. The NRA, in addition to its riverhead at Taiyuan, is also holding certain tracts of land on the other side of the river to the East, near the city of Jinan. The melting of the winter snow also brings about the spring mud, which slows the Japanese advance to a crawl. All across the line they launch attacks on our troops, but our prepared and dug-in soldiers repel them with ease. 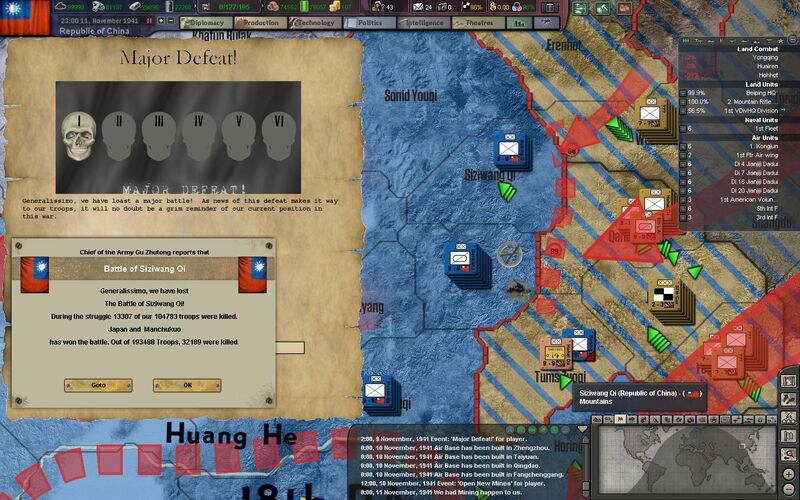 While the UK and Y-Force fight a defensive battle in Burma, Chiang and Marshal Gu order the newly formed 12th Army to begin its advance into Indochina. Our engineers and recon elements have worked tirelessly to prepare the route through the jungle and to the city of Hanoi, and now our divisions will march through in full force. 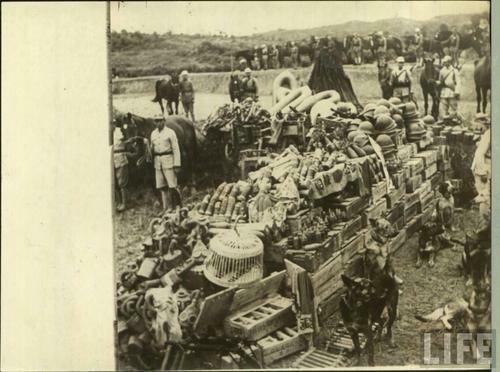 Near Kunming, Japanese irregulars and commandos have rampaged throughout the countryside, jeopardizing our supply lines to Rangoon and to Y-Force. Light infantry and cavalry regiments are sent to the region to clean this rabble up. More attacks across the Fen River on the tail end of Operation Mule have failed, and the Japanese have settled in defensive positions across from ours. 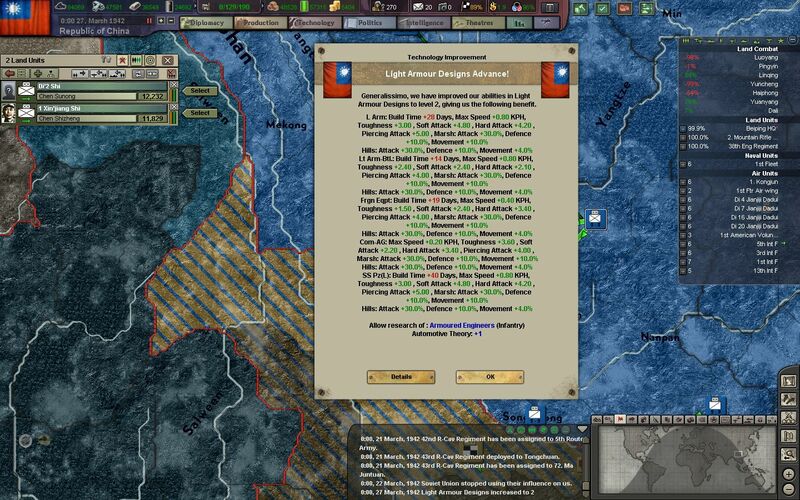 Even though our troops are exhausted from their nearly 300 km long march from the Northern Front, they still fight with the vigor of men with warm beds and a full stomach. Pictured above are troops with the Type 24 Heavy Machine Gun, a weapon which has claimed countless lives of Japanese soldiers all across the front. 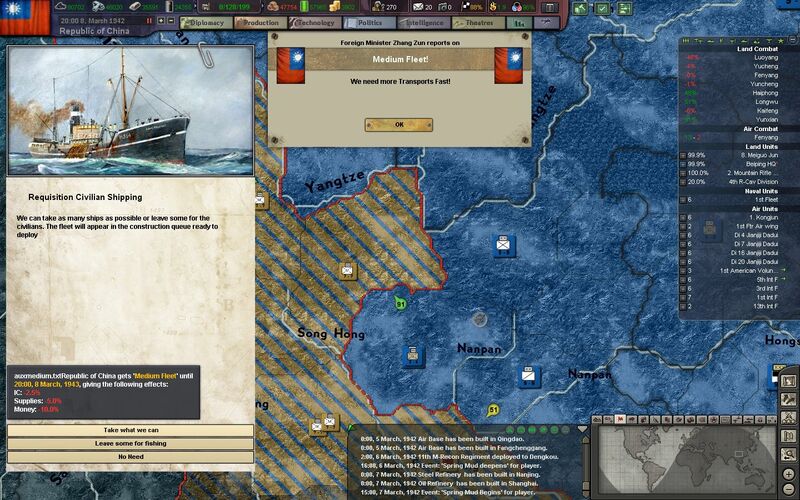 Chiang requisitions another round of freighters and passenger liners into the Republic's Navy, the ROCN. The merchants and capitalists complain, but their voices fall on deaf ears. 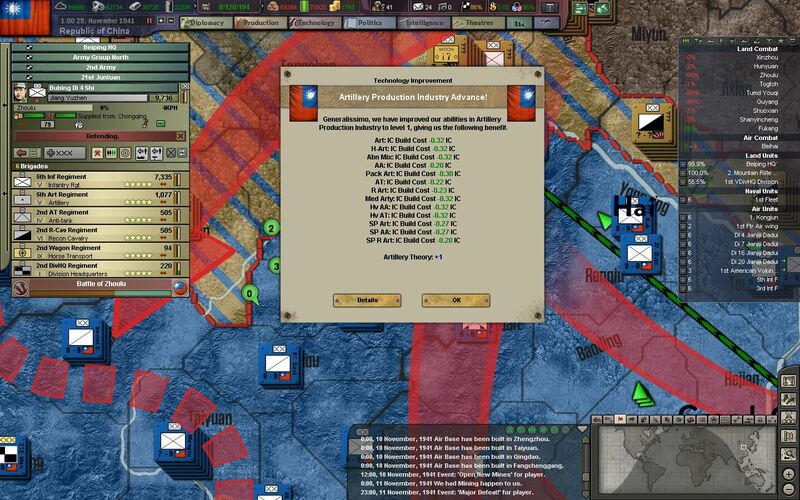 True patriots would sacrifice anything for China and the war effort! Our engineers have begun work on producing armor domestically as well, and plans for a tank factory in the city of Guangzhou are drawn up. First on the list is a copy of the BT-7 cavalry tank, from the Soviet Union. 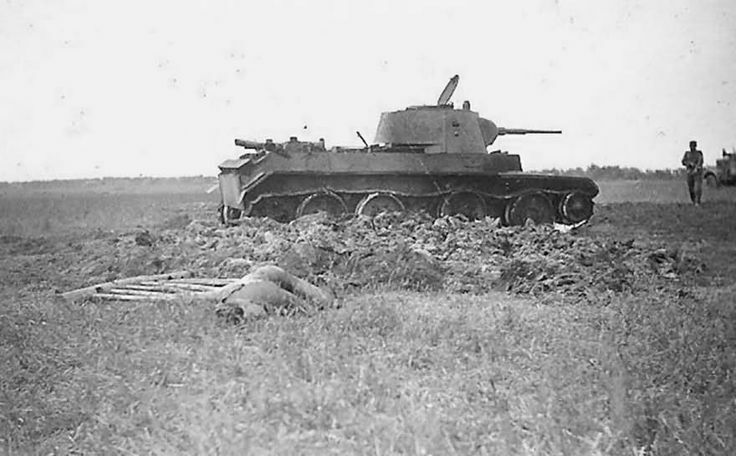 These lightly armored and quick tanks proved themselves during the Battles of Khalkin Gol against Japan on the Mongolian steppes in 1939, and have proven themselves to be effective reconnaissance and exploitation tools. Although they would struggle to keep up with modern anti-tank weapons and heavier, medium tanks, they will be a welcome addition to the NRA's arsenal. Production of the chassis and engine have been drafted and approved, while tooling for the turret and other components of the tank are under development. On the Eastern Front, Army Group North captures Leningrad after months of deadly siege and blockade, with over 300,000 Soviet soldiers and civilians dead from war or starvation. Hitler himself personally visits the conquered city, and holds a banquet in the Winter Palace, where the Russian Revolution symbolically sparked nearly 30 years ago. Stalin seems undeterred, and the relentless propaganda broadcasts continue throughout the Soviet Union. Hitler, meanwhile, begins to eye the oil fields of the Caucasus and along the Volga River, Stalin's namesake city of Stalingrad. 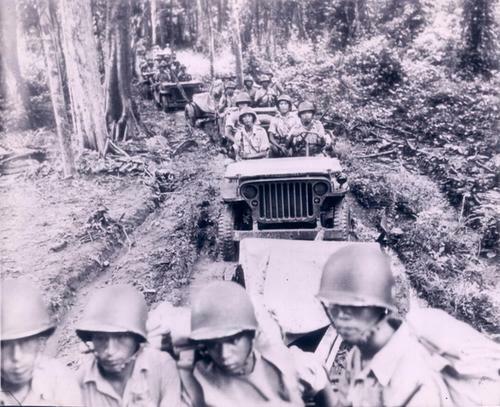 The last of the US resistance in the Philippines is crushed on the Bataan Peninsula, where over 100,000 US and Filipino troops are taken prisoner by the Japanese. The POWs are forced to march over 100 km in the sweltering heat, without food, water, or medical care, and a third of them die before they reach their destination. The Bataan Death March is just another example of Japanese barbarism and reckless imperialism, and they only welcome more brutal treatment of their soldiers that the NRA captures on the Northern Front. Soon we will bring the Japanese dogs to justice. 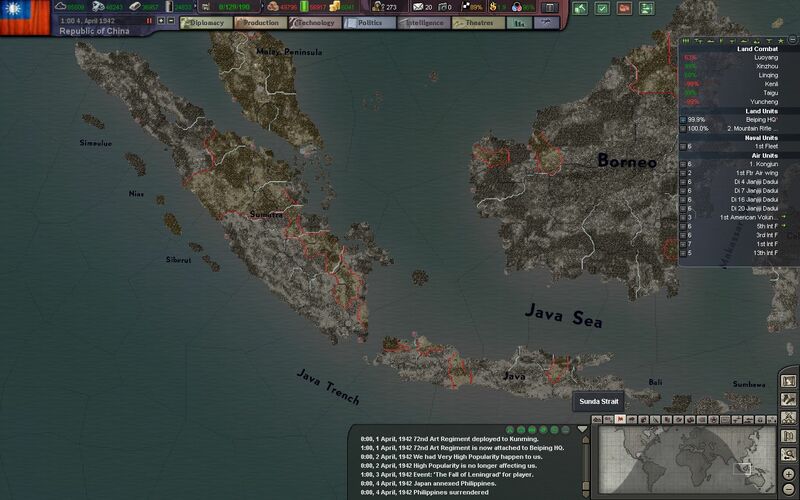 In Indonesia, the Japanese have surrounded the British port city of Singapore, while Japanese marines maraud through the Sumatra and Java islands. 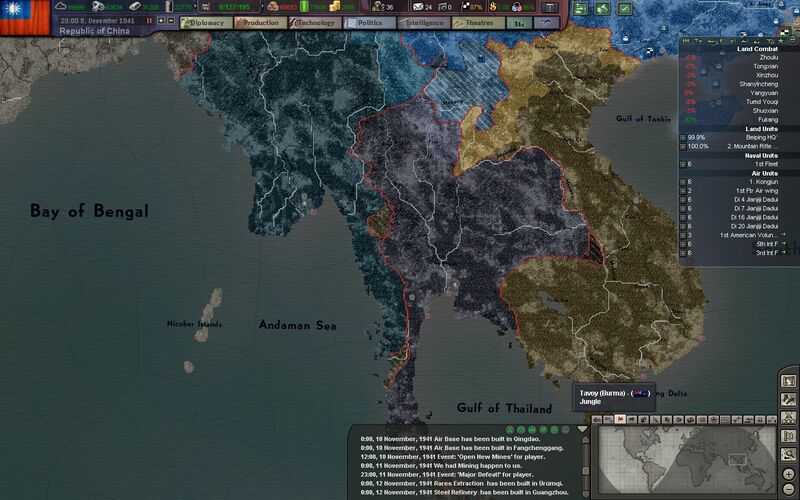 A recent landing on Borneo has also overwhelmed the local and British garrisons, and it seems all of Southeast Asia will fall under the Japanese yoke soon. Our sudden thrust into Vietnam, however, has caught the Japanese high command off guard, and the 12th Army is able to take the city of Hanoi after a brief battle with the city garrison. 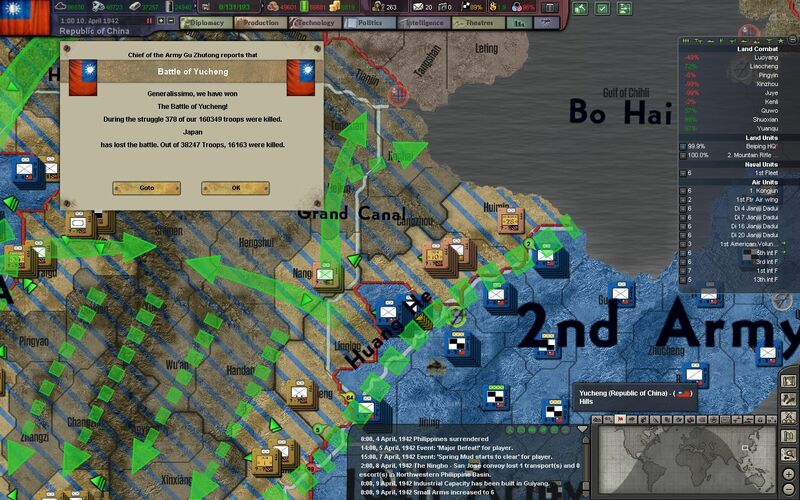 Our troops are to establish a makeshift defensive line across the Song Ma River, and then to advance once our supply lines and supply caches have been established. The dense and thick jungle of Indochina is not well suited for warfare - especially the mass warfare practiced by the NRA and the Japanese. Light infantry and recon units are assigned to the jungle, while our regulars mainly stick to the roads and between towns and villages. 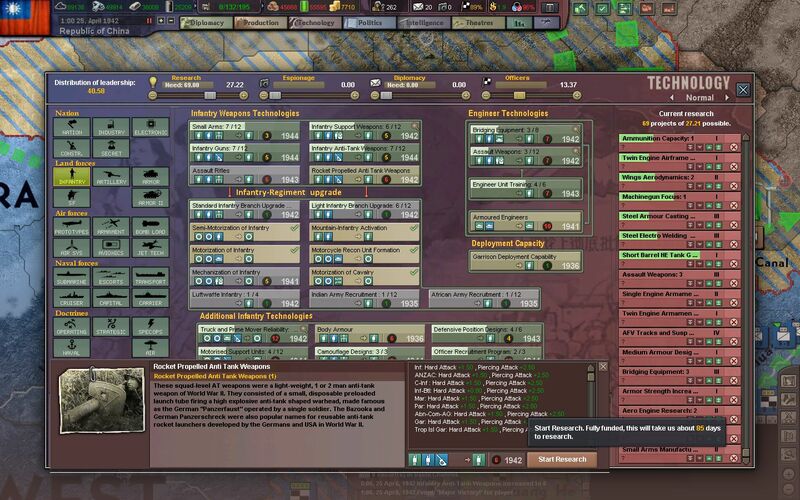 Supplying the 12th Army in Indochina will become a nightmare if we overstretch our supply lines. 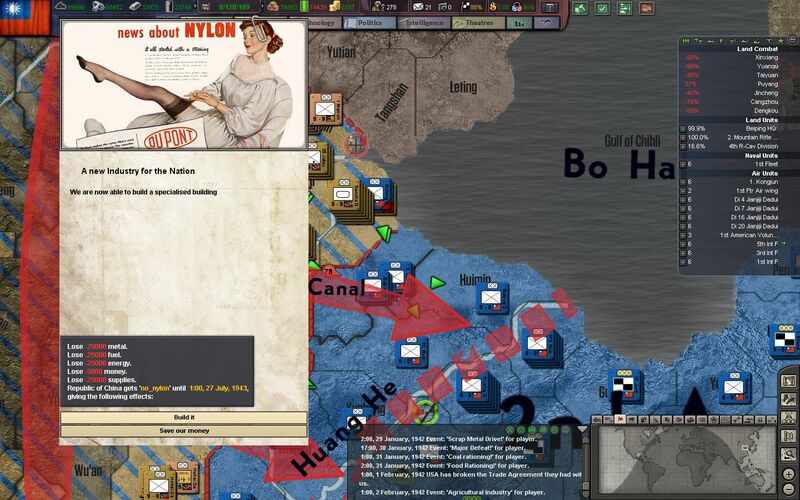 As Operation Mule nears its end, the general staff drafts and finalizes the plans for Operation Lotus. 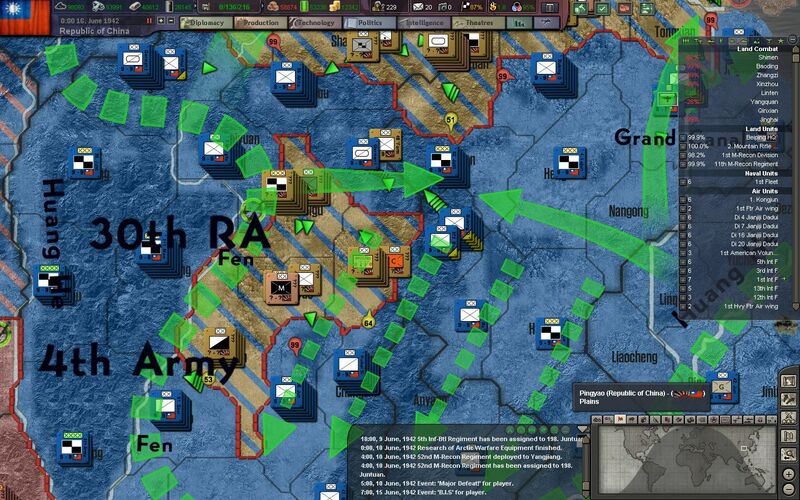 The operation is a classic implementation of the "kesselschlact" - a simple encirclement that has been used by Hannibal in the Battle of Cannae - to as recently as Hitler in the Battle of Kiev. 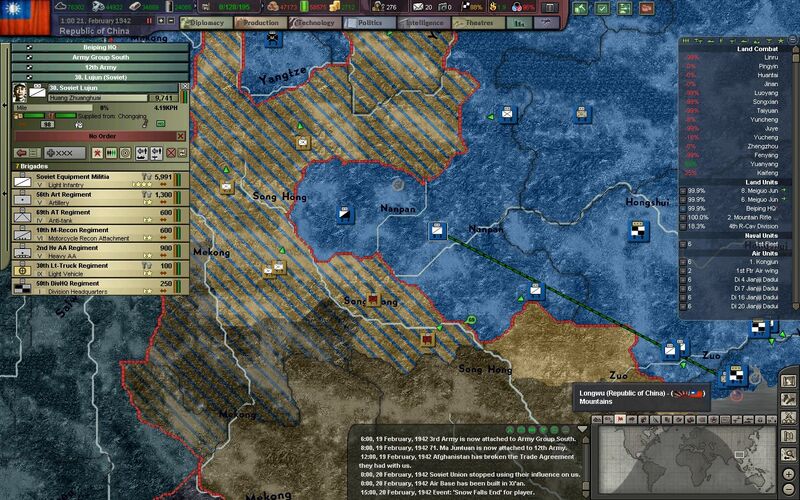 One pincer will cut off Japanese forces in Hebei Province, while another will thrust north onto the border of Mongolia. 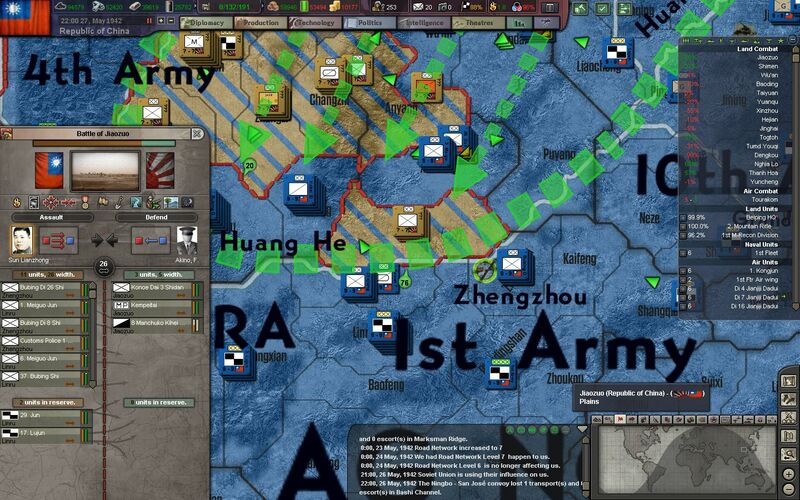 The NBIS and reconnaissance aircraft already estimate an army-sized group of the IJA attacking our line at Zhengzhou and Luoyang, and additionally another army-sized group posturing for an offensive near Hohhot and in Inner Mongolia. Swift advances by our troops will allow for the encirclement and destruction of about 30% of the IJA's total strength on the front. 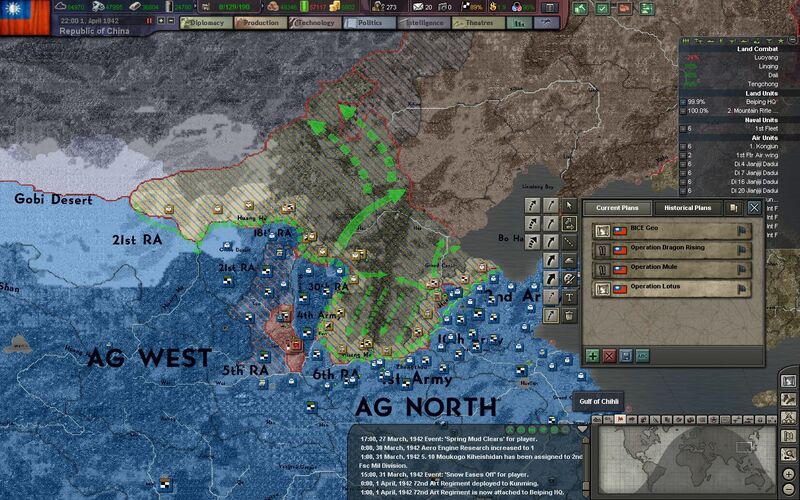 Our Western Pincer, headed by the 30th Route Army, is able to break out of the foothold of Taiyuan, but is quickly stifled by repeated Japanese counterattacks. 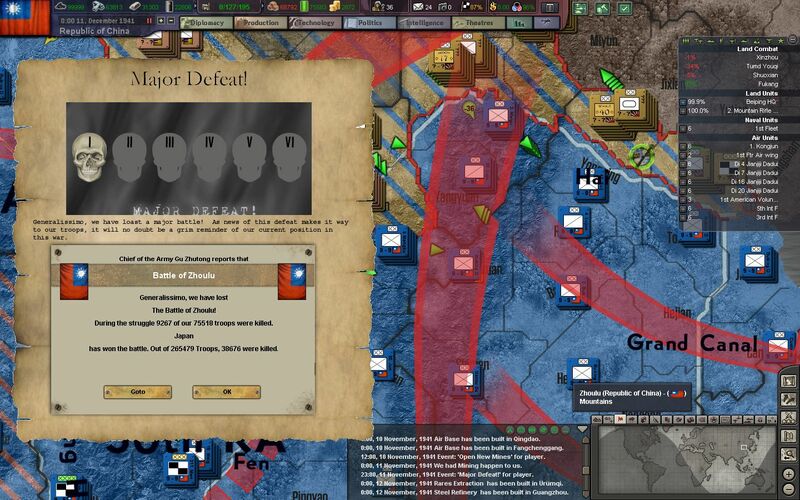 It seems that the Japanese generals have already caught onto our plan, and are rushing to stop it before it is too late. The vast size of the Hebei pocket, as it has been called, will prevent the Japanese from evacuating it once we move our pincers closer. 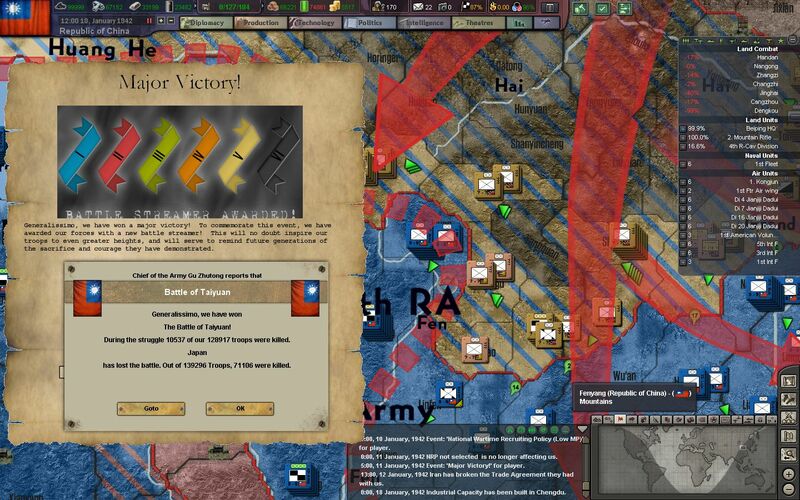 The Eastern Pincer, headed by the 2nd and 10th Armies, enjoys more success across a thinly defended line. 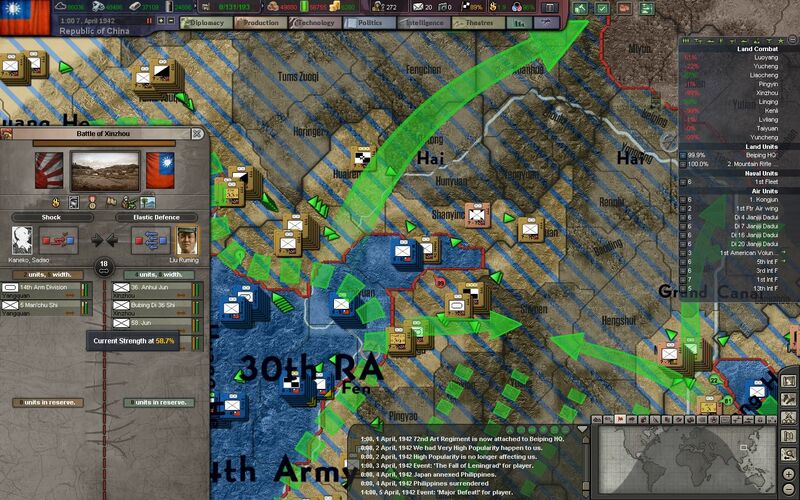 A sector of the front manned by poorly equipped puppet troops is targeted, and our soldiers surge through the opening. The NRA's armaments ministry begins the process of importing newly designed "bazookas" from America, to supplement our tank and emplacement destroying capabilities of our infantry. This electrically-primed, rocket-propelled gun will allow our troops to engage armor and enemy emplacements without the need of artillery, flak cannons, or anti-tank guns. Japanese counterattacks on the Eastern Pincer continue to falter, and our troops surge forward. Our pincers are now only 80 km apart. In Indochina, the 12 Army begins to encounter the rear guard of Japanese troops, who are mainly concentrated on the Malay peninsula and along the Burmese border. 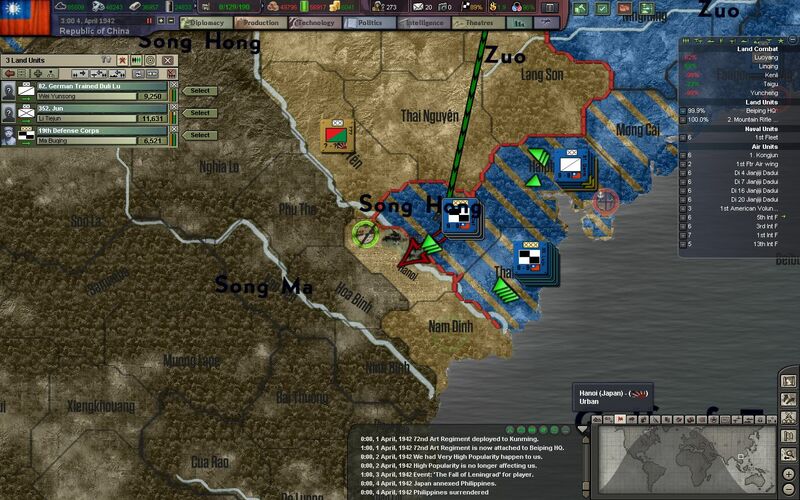 The 12th Army is ordered to make its way down the coast as far as possible, with the secondary objective of taking the port city of Hue. 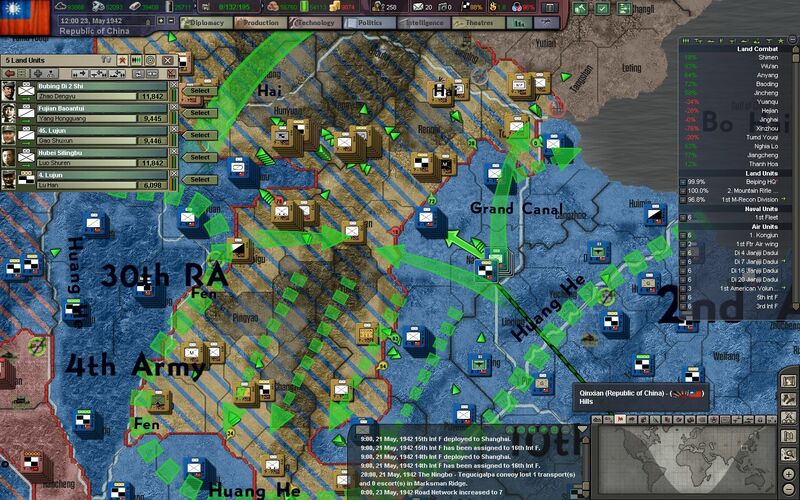 The Mekong River is not to be crossed, until reinforcements can reach the area. Two IJA divisions, as well as a Kempeitai detachment (totalling 20,000 men) are encircled north of Luoyang and systematically destroyed. The Kempeitai, although officially the Military Police arms of the Imperial Japanese Army, operate more so as secret police. They do not refrain from torture or execution in order to get the information they need, and embark on brutal campaigns of suppression across the Chinese countryside. Citizens flee or hide at the sight of their signature, white armbands, as they roam the countryside for more victims. Long ago Chiang has ordered the immediate liquidation of enemy commandos and agents, and he now extends this order to the dreaded Kempeitai. If the enemy will give no quarter to our innocent women and children, then they shall receive none themselves. An Indochinese collaborationist division is encircled at Thanh Hoa along the Gulf of Tonkin, and our troops work to reach the Song Ca River. 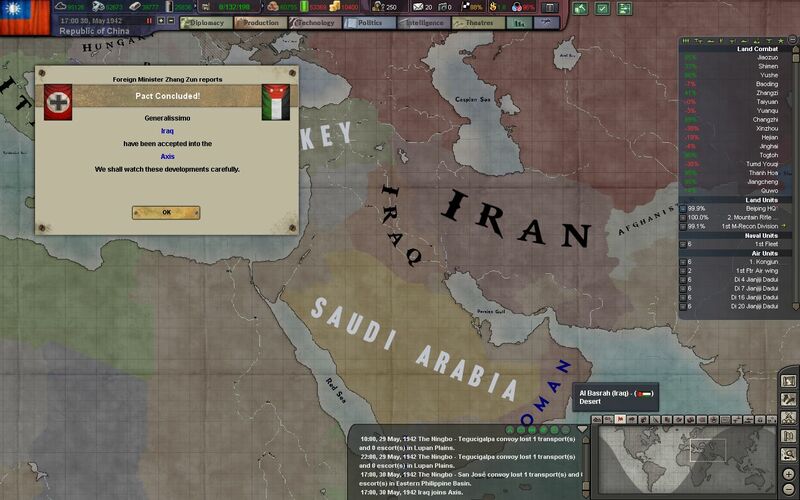 In an surprising and unlikely development, Iraq and Iran formalize an alliance themselves and the German Reich, with the two countries agreeing to deliver crude oil through Turkey and into refineries in Romania. The UK immediately drafts up plans with the Soviet STAVKA to seize key cities and oil fields in the Levant and in Iran. British and Indian troops have already crossed the Strait of Hormuz to seize the oil city of Bandar-e 'Abbas, and British troops in Transjordan and Kuwait begin their drive towards Baghdad. Lt. General Arthur Percival and British forces in Singapore surrender after a series of quick assaults into the city proper. The HMS Valiant is sunk as it attempts to escape from the city, along with several destroyers, light cruisers, and minelayers. Nearly 80,000 British, Indian, and ANZAC troops march into captivity after the city is secured, along with another 50,000 captured earlier in the defense of Kuala Lumpur and the rest of the Malay Peninsula. 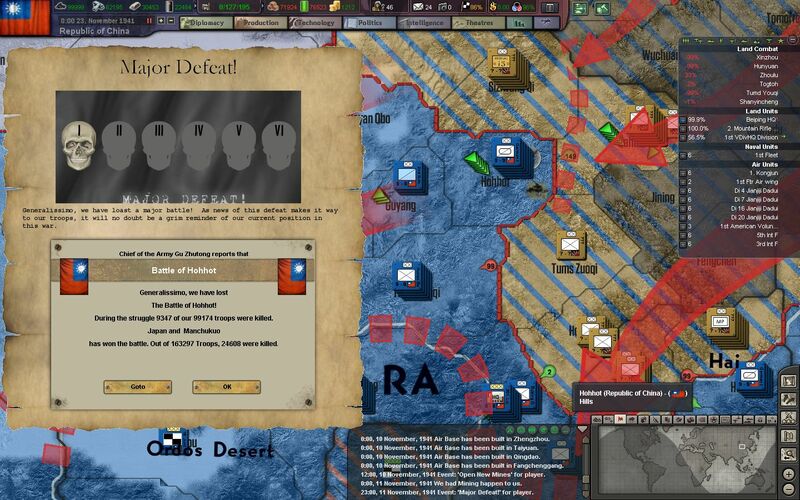 The British presence in the Pacific quickly dwindles, and it seems we will be on our own against the Japanese for a while. 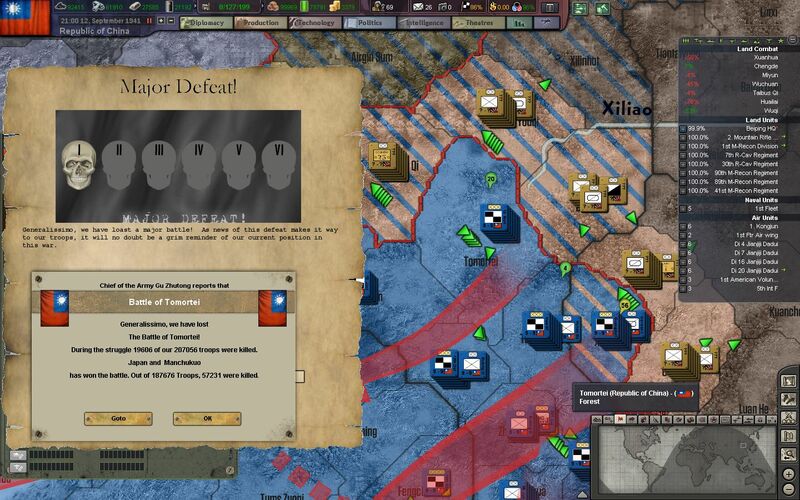 The pincers of the Hebei Pocket are now just 25 km apart, but our troops have moved too slowly, and the Western Pincer has been frozen in its tracks for almost 2 months now. Over 100,000 Japanese troops have already escaped the pocket, but an estimated 200,000 still remain. 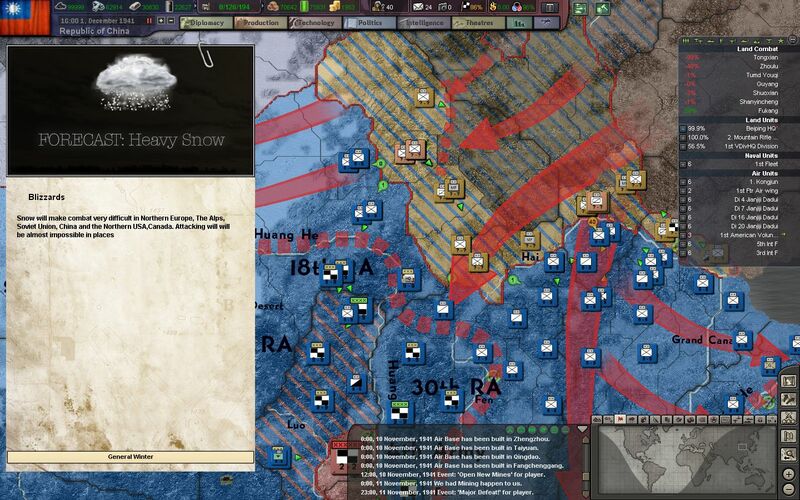 The NBIS reports that Tojo has ordered his armies in the pocket to hold their ground, and to not give up land that they worked so hard to capture. A week later, the pocket is closed and our troops begin to tighten their grip. 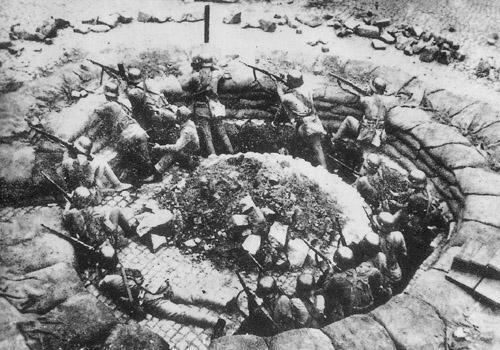 The Japanese pull back their troops to Taigu, on the outskirts of Taiyuan, in order to increase their defensive density while they wait for a relief force. Our fighters and reconnaissance planes drop leaflets on the encircled Japanese: surrender now, and find mercy in our POW camps in the interior. Relief will not be coming this day, or the next. Thanks for reading! 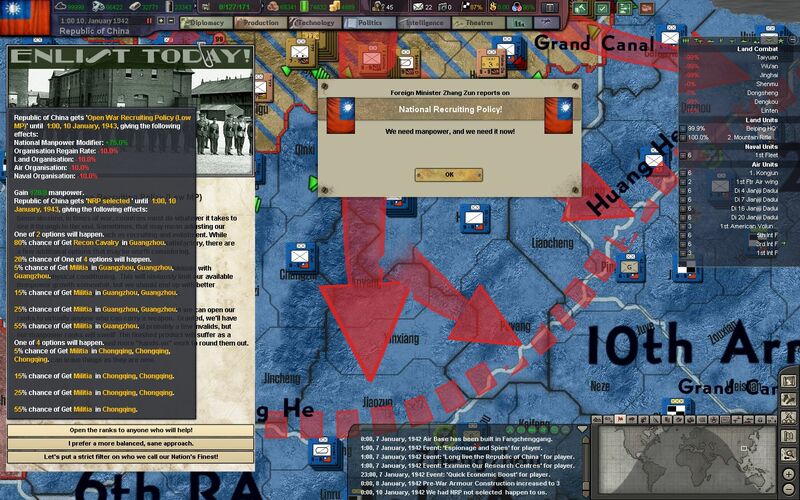 As always feedback on gameplay, writing, historical accuracy, strategic considerations, etc. is welcome and appreciated! Check back on Mondays for new episodes. Small Countries Civ AI Game MK II Part 0 - Meeting our competitors!